Famous as a superlative selection among a majority of the international medical students, PJSU stands-out among the other choices of universities for its prestigious medical and dentistry programmes highly recognised in the European region. 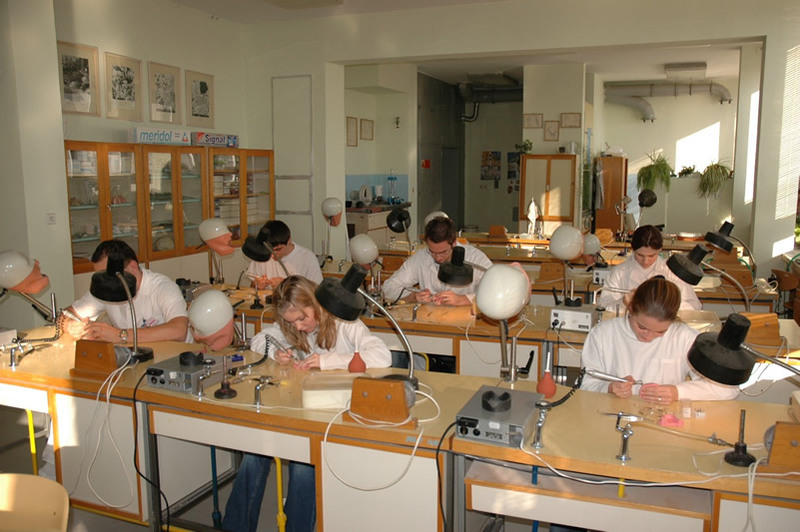 The University was founded in 1959 and established as the second classical University in Slovakia. It was organized into five faculties of which the University is most famous for its exceptionally prestigious Faculty of Medicine and Faculty of Science. Pavol Jozef Šafárik University in Košice (Slovak Univerzita Pavla Jozefa Šafárika v Košiciach) is a university located in Košice city, Slovakia. The university is named after Pavel Jozef Šafárik, a 19th-century Slovak philologist, poet, and historian. The University has more than 5700 students and 1250 staff members. Education is provided in the main cycles of Bachelors, Masters, Doctors and PhD studies in different fields. The process of education is provided in English language (and in Slovak for certain degrees). 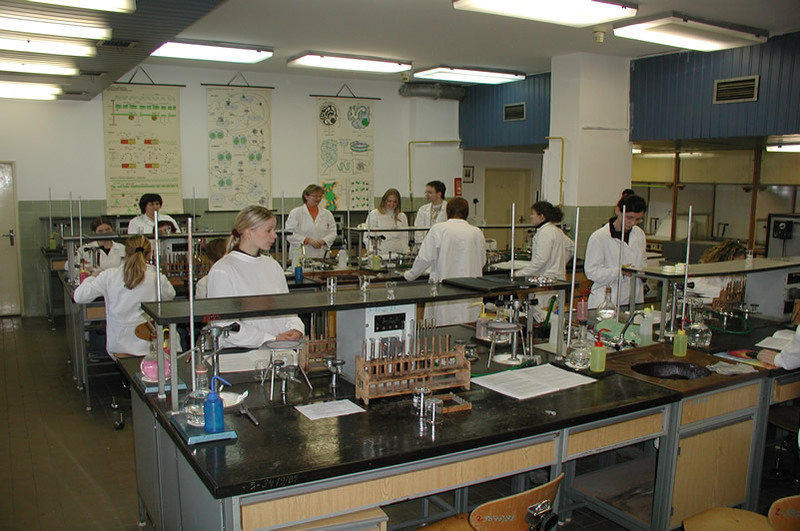 Pavol Jozef Šafárik University provides higher education based on the newest scientific findings in a wide international context with intensive co-operation of academic institutions all around the world. 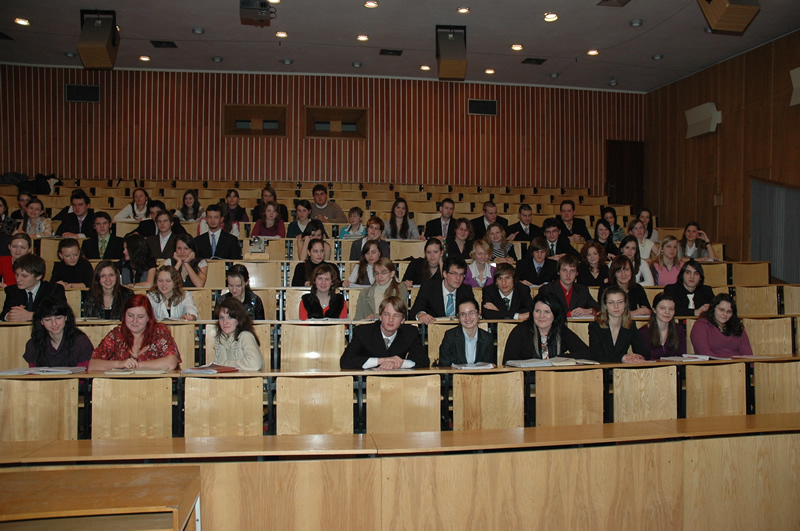 The study at the Faculty of Medicine at PJSU is accomplished by passing the final state examinations and preserving the degree thesis to an International Standard. There is possibility to continue in postgraduate study or specialisation study as a part of continuous learning and reserch. When it comes to applied skills; the university boasts with one of the best networks of Clinical Educational Bases in associated hospitals, making the university one of the best in the region. The heart of the training and care in General Medicine and Dentistry are based on internationally standardised innovative and progressive methods of treatment and diagnostics. 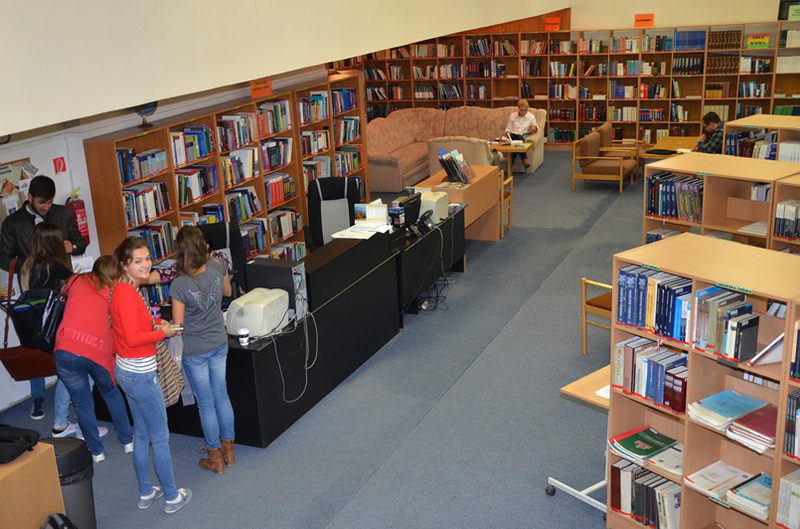 Students have the luxury to access to the Faculty Hospital of L. Pasteur in Košice which is housed within a walking distance next to the Kaunas city centre campus with modern facilities and a comfortable study environment. The Faculty of Medicine aims at becoming a successful research institution, including the quality of research outputs, international recognition and collaboration, and performance relative to peer institutions. The university strongly believe that the future of research depend on breaking down some of the traditional barriers among academic disciplines and opening up to new ideas and findings. •	Medical confirmation from your GP/ Doctor that you are physical and mental ability fitness (not older than 3 months) – in English or Slovak language. Slovakia was named Cultural Capital of Europe in 2013 and has a population 5.4 million making it a highly desirable living destination in the region. Slovakia is a central European country known for its dramatic natural landscape and many castles. Near the Austrian border, capital city Bratislava typographs a pedestrian-only Old Town with a dynamic cafe scene. Bratislava Castle houses a branch of the Slovak National Museum, with displays from Roman artifacts to 20th-century arts and crafts. 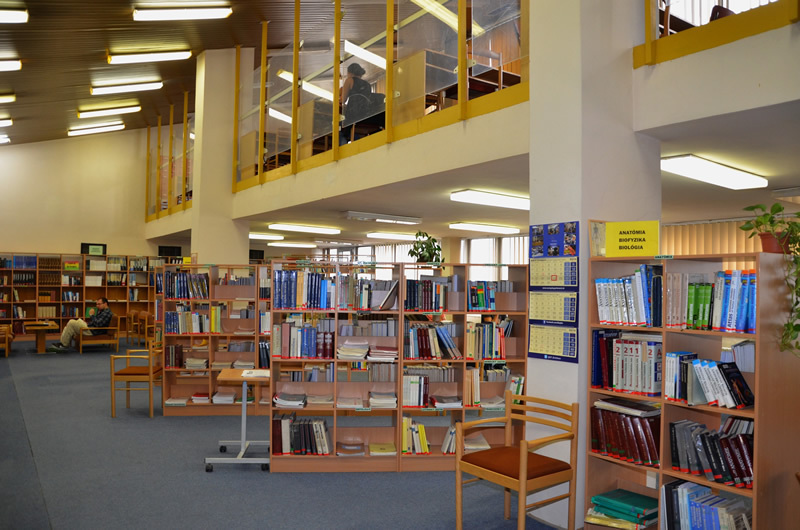 There are 12 state scientific libraries in Slovakia, 473 libraries affiliated with universities and institutions of higher learning, and 2,600 public libraries. The University Library in Bratislava, founded in 1919, contains more than 2 million volumes and is the country’s most important library. Slovakia is also home to more than 50 museums. The Slovak National Museum founded in 1893, is located in Bratislava is probably the country’s best-known museum. Other museums include the Slovak National Gallery (1948) and the Museum of Eastern Slovakia (1872), in Kosice. Slovak National Gallery is the supreme and central gallery institution displaying visual art represented through painting, drawing, printmaking, illustration, arts and crafts, sculpture, photography or conceptual art. The history of Slovakia runs to the Early Paleolithic Era, with the oldest surviving archeological artefacts from Slovakia date back to 270,000 BCE, found near Nov Mesto nad Vhom. These ancient tools were made by the Clactonian technique and are a potent reminder of the ancient inhabitation of the geographical regions known today as Slovakia. The climate is relatively continental with virtually no extremes below minimal -20°C (-4°F) or above maximal +37°C . In summer, the temperatures may rise up to +32°C in the warmer regions of Bratislava and Southern Slovakia. Slovakia has nine national parks, majestic peaks, deep valleys and mysterious arroyos and large forests which are full of life. Crystal clear glacial lakes, blue surfaces of water reservoirs and peaceful lowland rivers are a paradise for birds. The natural travertine formations created by volcanic activity adds on the unbelievable diversity in such a small area. Slovakia is a developed Central European country boasting a developed modern infrastructure. The rail networks are well built. Divided into motorways and expressways, there is a good highway connectivity and the river Danube is used both by passenger, cargo and freight ships with good connections to any destination. The development of Slovak culture reflects the country’s rich folk tradition, in addition to the influence of broader European trends. A community centre can be found in every town or village of Slovakia. Usually all main cultural events take place here. Cinemas are very popular in Slovakia usually with a few movies showed each day. There are many supermarkets in cities around Slovakia, which have been built in last few years. Shopping-leisure centres are available in various Slovak cities. Wherever you choose to live there are ample numbers of supermarkets, shops and convenient stores scattered with quick access. There are many restaurants and other quirky places ready to serve you the best of Slovakia. You can choose from simple refreshment stands offering fast foods, cosy bageteries, snack bars and sandwich shops or various types of restaurants in Slovakia offering Slovakia food. The biggest advantages of land lines in Slovakia is the coverage and quality of signal as land lines cover majority parts of whole country of Slovakia with very strong and quality signal. There are three mobile operators in Slovakia with good coverage. You can choose your mobile operator based on your criteria and services of the particular mobile operators. Cities are teeming with Internet cafes and there is good internet connection. It is not surprising why more and more students choose Slovakia as their destination for higher education studies every year with all Slovakia has to offer for the young and young at heart. Košice is the Slovakia’s second largest city. The first written mention of Košice is documented dated in the year 1230. Košice is nestled in the picturesque valley of the River Hornád in the basin that shares its name. Košice is the regional administration centre and Eastern Slovakia’s hub of industry, commerce, science, and culture. Košice has a population of over 260,000. The city of Košice ranks right after the capital Bratislava in terms of its size and importance in Slovakia. The average age of citizens is 35 years, which has led to Košice being known as the city of youth. The education system is significantly represented in the city, with over 45 basic schools, 10 grammar schools, 4 commercial academies, and 15 specialized secondary schools covering industrial technologies, agriculture, health care and the arts. There is also the Technical University with 8 faculties, P. J. Šafárik University with 5 faculties, the University of Economics and the University of Veterinary Medicine. The winding Hlavná street and the magical alleys are the soul of Košice, it is a city with a unique atmosphere, personality and warmth. You can discover monumental buildings of the great Cathedrals, palaces, charming alcoves, synagogues and places with history. In their leisure time, many young people immerse into uncovering the unique legends that cannot be offered by any other city. This is why Košice is famous for being a perfect location for students to peruse their higher education. Košice is located in the eastern part of Slovakia, not far from the borders with Hungary (20 km), Ukraine (80 km) and Poland (90 km). The city is the administrative centre of the Region, and is divided into four Districts. Further as an independent legal entity it is divided into 22 city wards, each with its own local government. Being near the borders of three states and being the hub of important domestic and international transport routes, is just one of the advantages of this location. It has good commercial connectivity boosted by the existing railway junction and airport with international status. Košice has a strong economic background, and the city creates employment opportunities for the population of the surrounding region as well as its own. The city centre is at 208 metres above sea-level, and the climate in Košice is moderately warm with average temperatures ranging between 26° C in July and -3° C in January. There is a saying in Slovakia that, the most fun you can have is in the East – in Košice! There is a range from which, you can choose to enjoy life with the locals from having a nice evening in one of Hlavná street’s cafés, in a local beer-house or wine shop including specialties from the Tokaj area with the best offers of wines. If you are a fun-loving person then you might choose to party until the morning in the numerous night clubs. There is an ample number of Museums, Galleries, Exhibitions and connexions to choose from anytime of the year. Košice is famous in Europe for being a centre of culture. The city, streets are filled with street-art pieces where artists work. Creativity runs through the city. Students can have a time of their life in Košice. It is sure to inspire you. The general medicine programme runs 6 years and is taught exclusively in English. Graduates of this programme, receive a Doctor of Medicine (MD) degree. The University is accredited by the European Union, opening doors for graduates to work anywhere in Europe or beyond in the world. This Medical programme has a limited amount of openings to foreign candidates. Graduates of the Medical Programme acquire specialized theoretical knowledge in a range of pre-clinical and clinical topics. The pre-clinical and clinical subjects are fundamentally covered through lectures, seminars clerkships, specialized practice and consultations. With regards to practical knowledge; students learn therapeutic and clinical methods to acquire qualifications for specializing in various respective fields and in medical research. To facilitate this, The Faculty of Medicine has several significant partners. 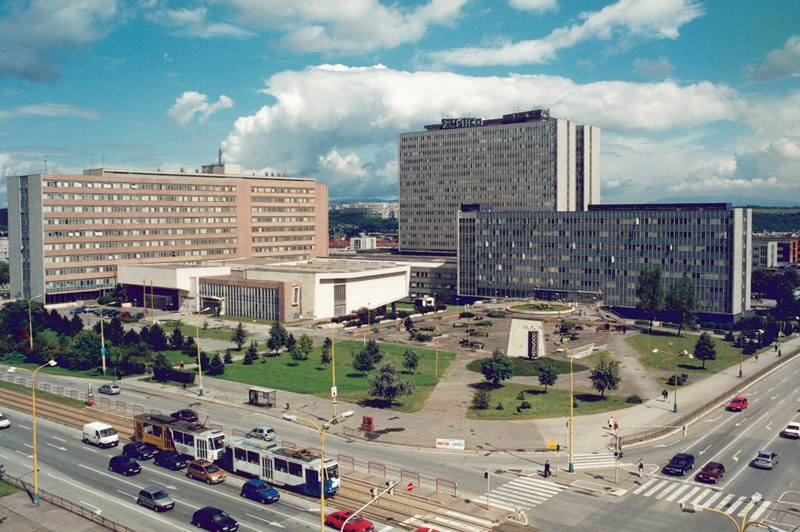 One of them being, the Faculty Hospital of L. Pasteur in Košice located in the same grounds as the University and also there are many other medical facilities, where the faculty provides students with concrete preparation. The training is focused on achieving a broader general medical education. The Students train to become physicians and surgeons capable of providing professional medical aid and care aimed at preventive aspects of medicine with a broader general medical education. As regards to the administration, the faculty is divided into 57 institutes and clinics, which provide the activity of the faculty professionally. Vocational training is based on the latest knowledge in medical science and students are given the possibility to achieve the background for scientific activity as well. Students acquire specialized knowledge in through lectures, seminars clerkships, specialized practice and consultations. Biology, Anatomy, Medical Chemistry, Histology and Embryology, Medical Terminology, Biophysics, Biochemistry, Physiology, Microbiology, Internal Medicine, Surgery, Psychiatry, Radiodiagnostic, Nuclear Medicine, Hygiene and Epidemiology, Forensic Medicine, Medicine Law. At the end of the 6th year, students who pass the obligatory state written examination, graduate with an accredited Doctor of General Medicine (M.D.) degree. Anaesthesiology and Intensive Medicine, Internal Medicine, Psychiatry, Radiodiagnostics and Imagine Techniques, Stomatology, Surgery, Dermatovenerology, Gynaecology and Obstetrics, Haematology and Oncohaematology, Infectology and Travel Medicine, Department of Neonatology, Neurology, Neurosurgery, Occupational Medicine and Clinical Toxicology, Opthalmology, ORL and Head and Neck Surgery, Orthopaedics and Traumatology of Locomotory Apparatus, Paediatrics and Adolescent Medicine, Physiatry, Balneology, and Medical Rehabilitation, Plastic, Reconstructive and Aesthetic Surgery, Pneumology and Phtiseology, Radiodiagnostics and Nuclear Medicine, Stomatology and Maxilofacial Surgery, Traumatology, Urology. Dental Medicine – the graduates are awarded the degree of “Doctor of Dental Medicine” (MDDr., the equivalent of DMD) after a six-year study (12 semesters) and the programme is taught in English Language. This programme is recognised by the General Dental Council and Irish Dental Council for registration to practise as a dentist in the UK and Ireland with the opportunity to practically train at the Hospital of Lithuanian University of Health Sciences which runs clinics for Dental and oral diseases, Dental and Maxillary Orthopedics, Oral Care and Pediatric Odontology, Orthodontics. The curriculum leads to a master’s degree in Dentistry, which is equivalent to a Doctor of Dental Science (DDS) and forms the basis for specialist education or scientific (PhD) studies. Students will graduate equipped with adequate knowledge of theoretical, pre-clinical and clinical disciplines of dental medicine. The practical exercises are focused on learning basic preventive, diagnostic and therapeutic procedures qualifying them to independently perform basic practical procedures. The acceptance is based on the rules of general admission, which is organised and carried out by PJSU. The Faculty of Odontology offers a perfect possibility of gaining a profession in odontology and also guarantees high-level and attractive studies. According to our experience like in many other cases, only the best graduates choose this study programme. 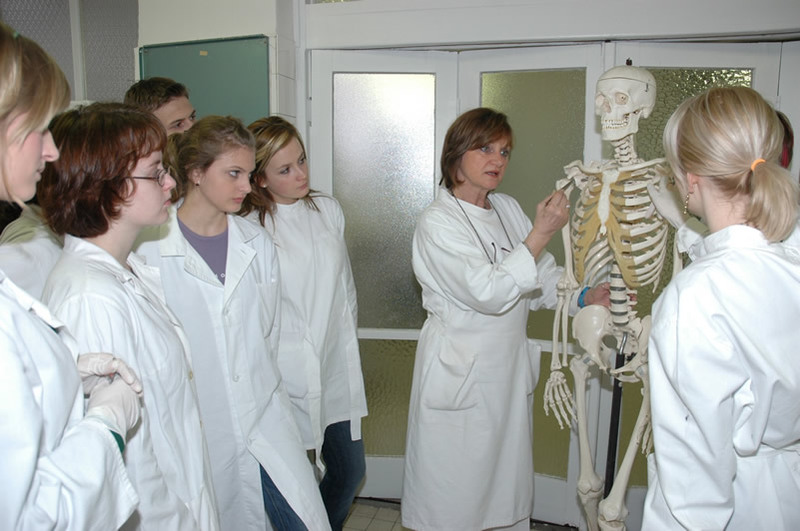 Odontology, as a branch of medical sciences, is designed for talented, active, and responsible students. Integrated studies are also organised in the Faculty of Dentistry.